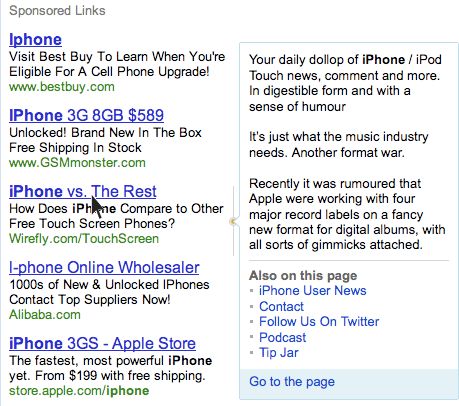 A WebmasterWorld member thinks it would be a wise idea if Google added a new level of detail to the AdWords listings. I believe his idea is to display a mouse over control which would open up a more detailed box that shows advertiser details. This would allow the searcher to better know if he should click or not.